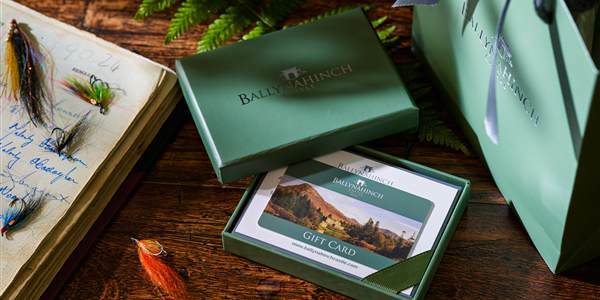 Few castle hotels in Ireland offer you hotel rooms with views to match Ballynahinch Castle in Connemara. Each of our 48 guest rooms and suites are individually decorated to a very high standard with soft furnishings to compliment the surroundings. 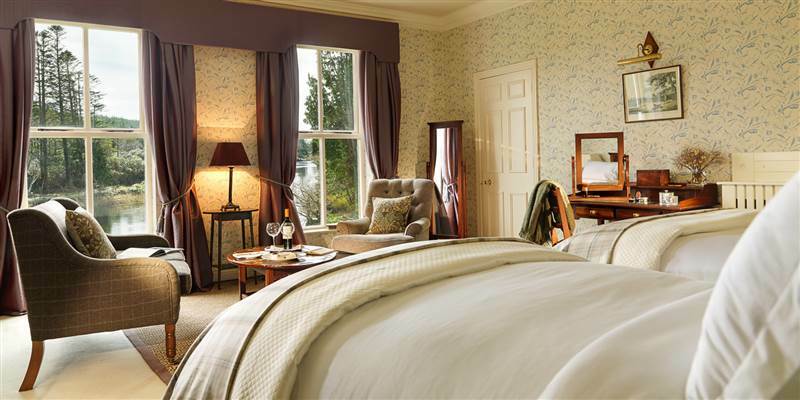 The majority of our Classic rooms are located in the original house with three in the newer wing overlooking the grounds. 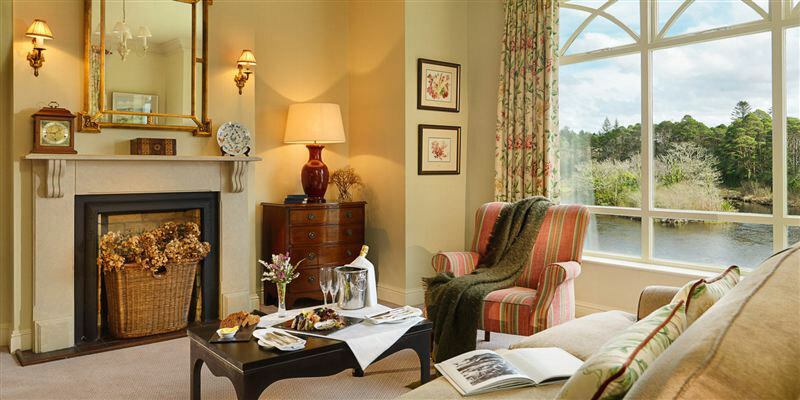 The Classic rooms have views of the grounds, courtyard or mountains. 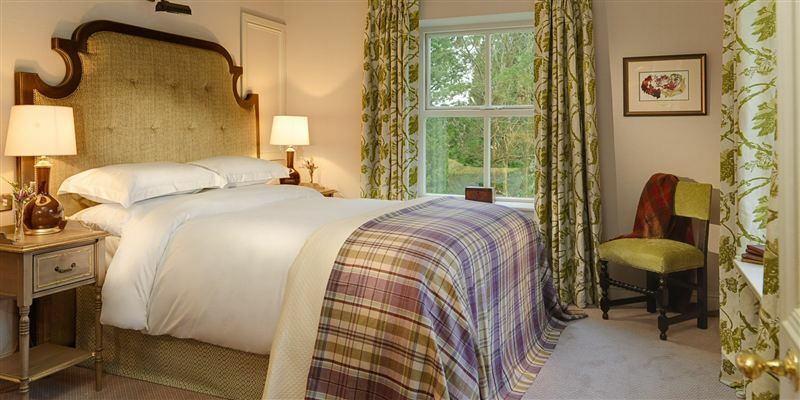 All our Classic Riverside Rooms are located in the original house as are two of our Superior Rooms. 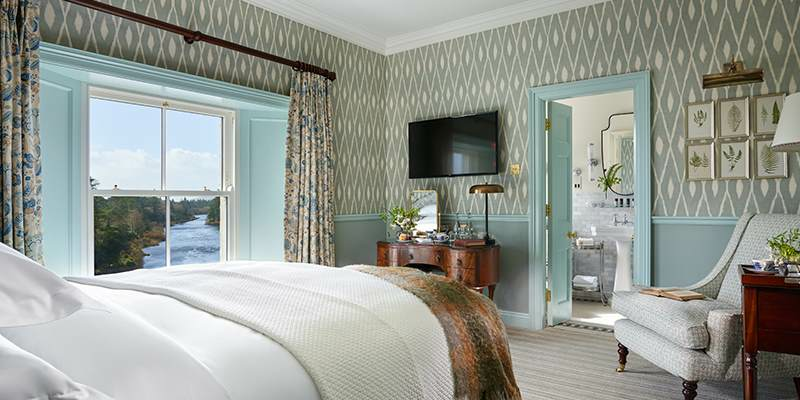 The remaining Superior, Luxury rooms and Riverside Suites are located in a newer wing, overlooking the river with magnificent views of the river & woodlands. 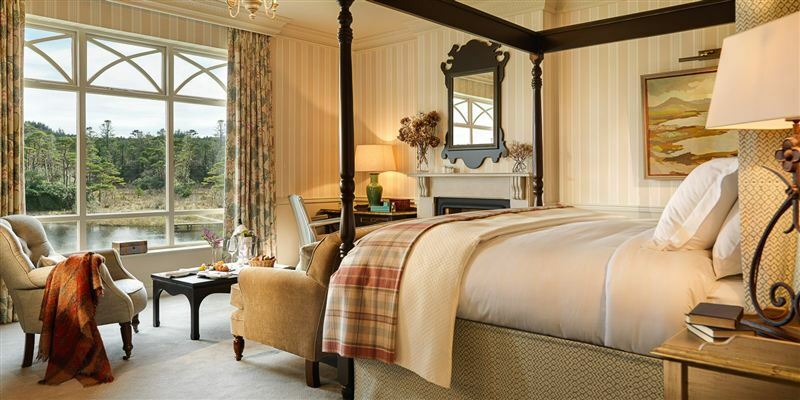 Whichever room you choose you will find sleep comes easily in this luxurious accommodation in the heart of Connemara.